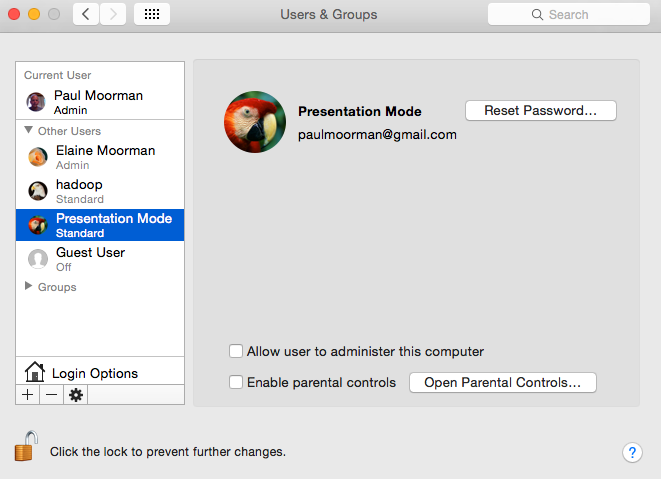 If you've given presentations using your Mac or PC, you've likely amused your audience with your laptop's background, annoyed them with your screen going black or embarrassed yourself with an uninvited pop-up message. A simple solution is to create a second account on your laptop just for presentations and configure its background, power settings, etc. to avoid the above gaffs. Directions for this, and other handy uses of additional accounts for Mac users can be found at this link, but most tips will equally apply to PCs.